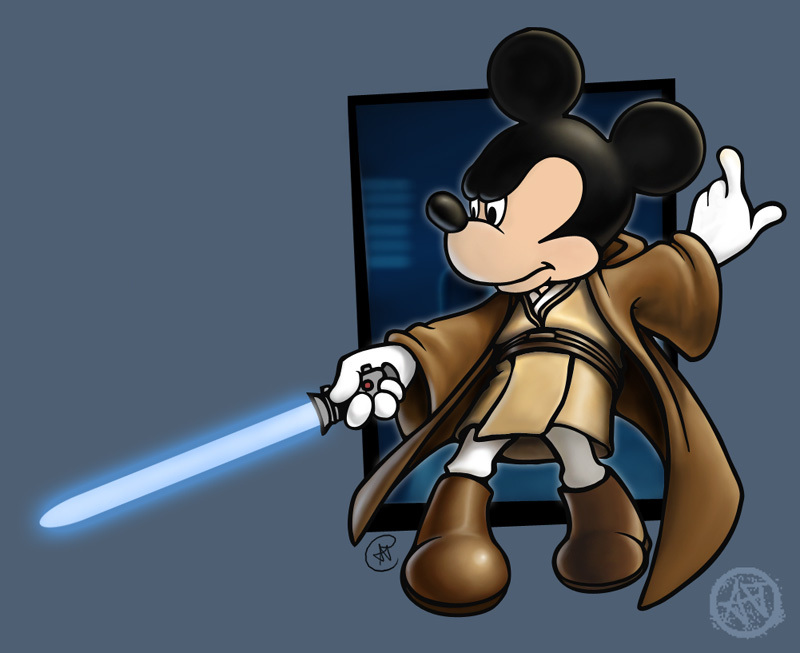 WTF: Disney bought Lucasfilm? New Star Wars movie in 2014? I honestly am at a loss for words. That said, I can forgive and forget… as long as Disney re-releases the original trilogy and fixes the scene where Han shoot Greedo. agreed. I famously (heh) was willing to boycott Star Wars over the Special Editions, myself. Having Blu-ray of the originals would do a lot to warm my heart towards this. Also, the point made by Greg Dean of the comic stands: Disney wants movie franchises, and has a history of recruiting geek directors for geek projects. 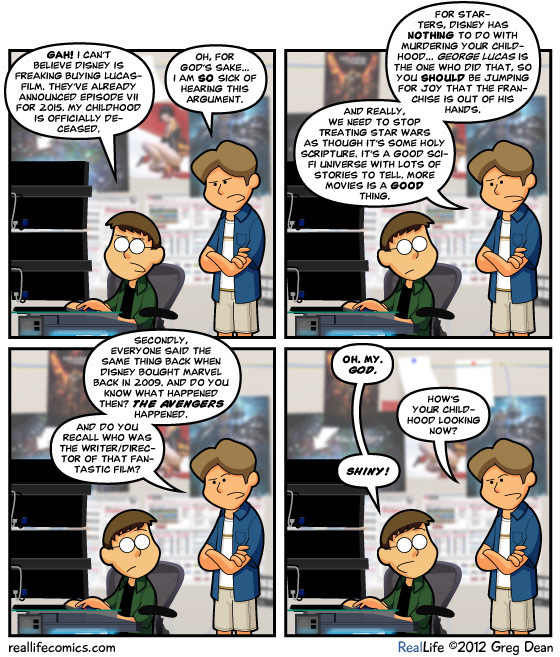 On the downside, this does mean that a Marvel-Star Wars crossover could theoretically happen. 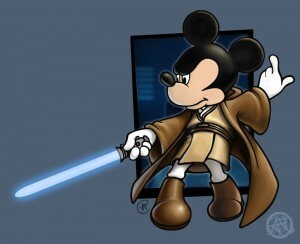 Or maybe it means that Jedi could appear as characters on Once Upon a Time? I’ll leave that as ambiguous on the up/downside tally.